(NewsUSA) - A new approach to making everything from jet engines to toys, called 3D printing, is creating a revolution in manufacturing -- and a small company called Sigma Labs, Inc (NASDAQ:SGLB) has an enabling technology that can make it happen. In traditional manufacturing, companies start with metal or other materials, then cut, shape or drill the material to get the finished products. In the late 1980s, however, researchers at MIT came up with a radical new idea. Instead of cutting material away, why not build things by adding layer after successive layer? The method they developed was similar to printing ink onto paper, only in three dimensions. 3D printing, also called "additive manufacturing," is now becoming big business. GE Aviation uses it to build jet engine fuel nozzles, for instance, instead of welding together 20 small pieces. Technology Review recently named additive manufacturing one of its 10 "Breakthrough Technologies." But 3D printing turns out to have a major challenge: It's extraordinarily difficult to build identical top-quality parts every single time. In fact, Sigma Labs has now solved this problem, ensuring that every part and product is built correctly. How? The company uses sensors to measure key parameters such as the temperatures of the material as each layer is deposited. Then it uses sophisticated algorithms to process the data, and to determine if the resulting part meets customer quality standards. "When we monitor every layer, for every part, we can tell if it's a good part," explains John Rice, CEO of Sigma Labs. 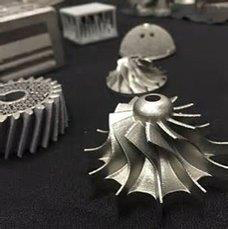 Sigma has installed its PrintRite 3D system at 3D manufacturing facilities for more than a dozen key companies, such as Siemens, Honeywell, Woodward, and Pratt & Whitney. Rice envisions that, once the technology is proven in actual operations, Sigma's patent-protected approach may fuel explosive growth in 3D printing, and become an essential part of 3D metal manufacturing operations, dreaming of "Sigma Inside," such as Intel chips in personal computers. "This has the potential to be a major transformative technology by enabling the leap to volume AM metal production," says Rice.